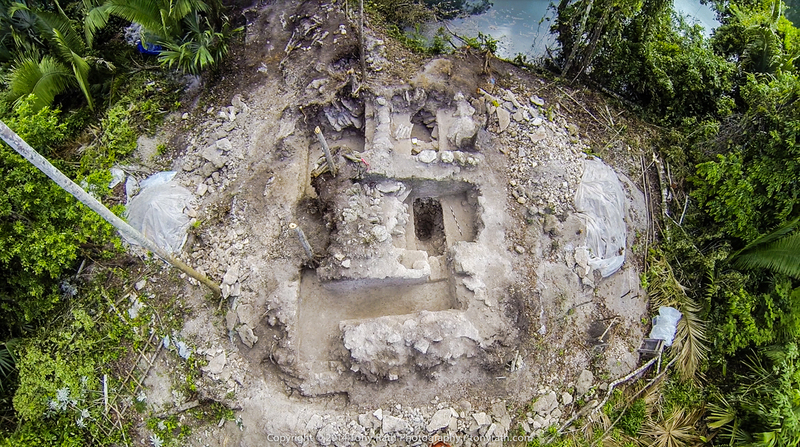 Researchers are mapping the final three of 25 sacred pools at Cara Blanca, an ancient Maya pilgrimage site in central Belize. 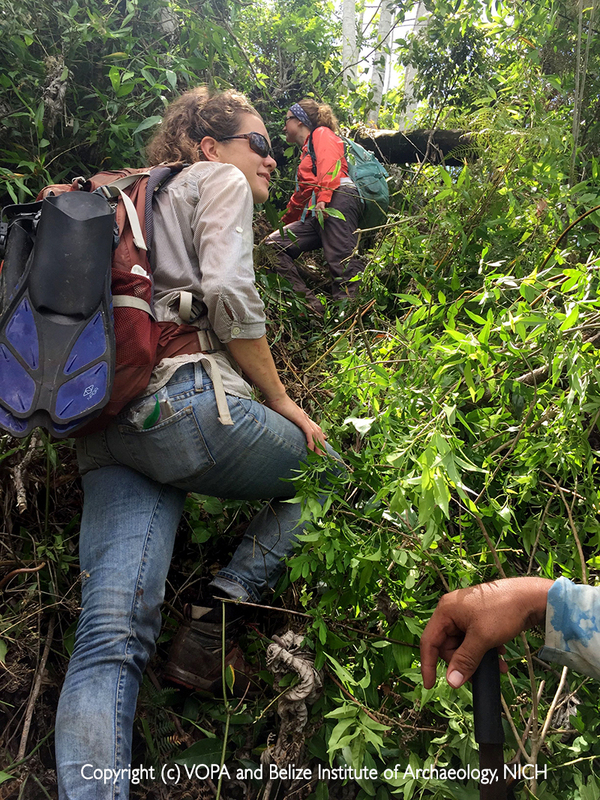 Graduate students Jean Larmon, front, Aimee Carbaugh and their colleagues hack through the jungles of Belize to get to ancient archaeology sites. CARA BLANCA, Belize — Armed with a compass, a map, a GPS device and a drone, we begin our exploratory trek through the jungle. 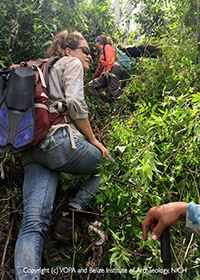 The thick vegetation is no match for our team of eight, six of whom are quick with a machete. Four hours after circumventing towering hardwoods and hacking our way through spidery vines, massive palm fronds and dense fern bushes, we stand at the edge of Pool 21, less than a kilometer from the road. 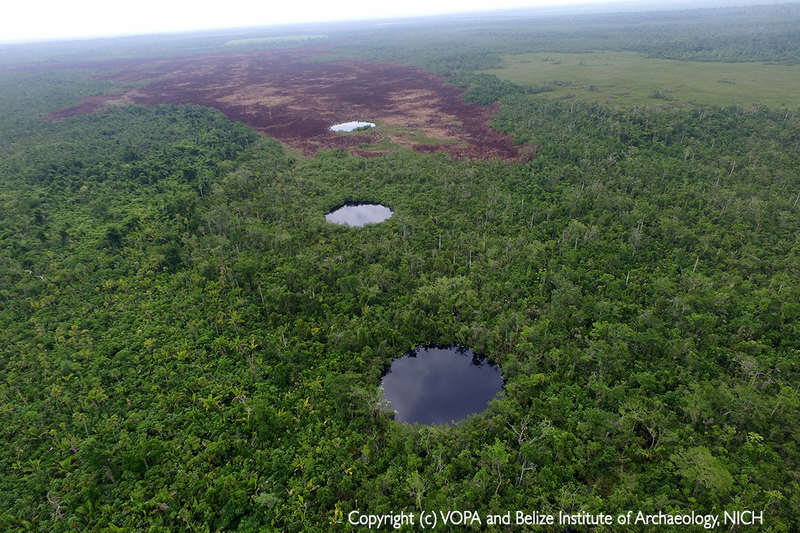 Researchers have located a total of 25 pools along the base of limestone cliffs in Cara Blanca, Belize. These pools were sacred to the ancient Maya. 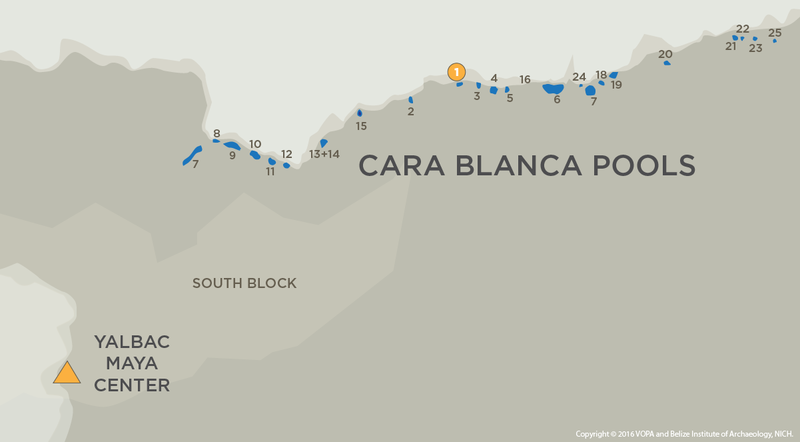 Cara Blanca, an ancient Maya pilgrimage site in central Belize, consists of 25 pools stretching across 11 kilometers at the base of white limestone cliffs. Many of the smaller, circular pools, called cenotes, have ceremonial architecture: A water temple and ritual platform teeter on the edge of Pool 1; a water shrine looms over Pool 15; and a pyramid carved out of the limestone bedrock guards Pool 20. So far, we have surveyed 22 of these pools. The final three – pools 22, 23 and 25 – have been difficult to reach. 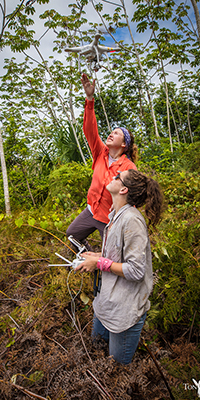 Graduate students Jean Larmon, front, and Aimee Carbaugh launch a drone to collect aerial photos and video. We’re here to assess the role these pools played for the ancient Maya, who saw them as portals to the underworld. We know the Maya intensified their pilgrimages here from about 800-900 A.D. in response to debilitating droughts. They came here to plead with gods and ancestors for more rain. Once we’ve hacked our way to a pool, the true work begins. We wade into the cool blue, though sometimes muddied, waters to conduct a survey of its underwater features. Branches of submerged trees knocked down by hurricanes stretch toward us from the depths. We use a 50-meter tape with a diving weight attached to measure the pool’s depth. Snorkeling gives us a glimpse of this underwater world’s high biodiversity. Several fish species, turtles, clams and crocodiles live here. Luckily, they tend to swim away from us as we work. A temple at Pool 1 was used by the Maya to celebrate their unique relationship with water and the underworld. This week, we will enter dense mangrove forests, slogging through waters well above our knees. 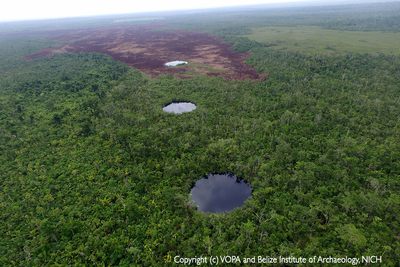 These conditions make it impossible for us to survey for Maya architectural sites around the last three pools. The Maya did not choose these paths for easy navigation; the difficulty of the journey itself was part of the pilgrimage experience. 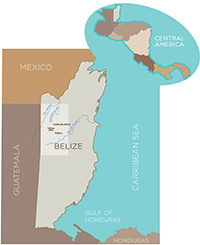 Editor’s note: This research is conducted under the auspices of the Belize Institute of Archaeology, National Institute of Culture and History. 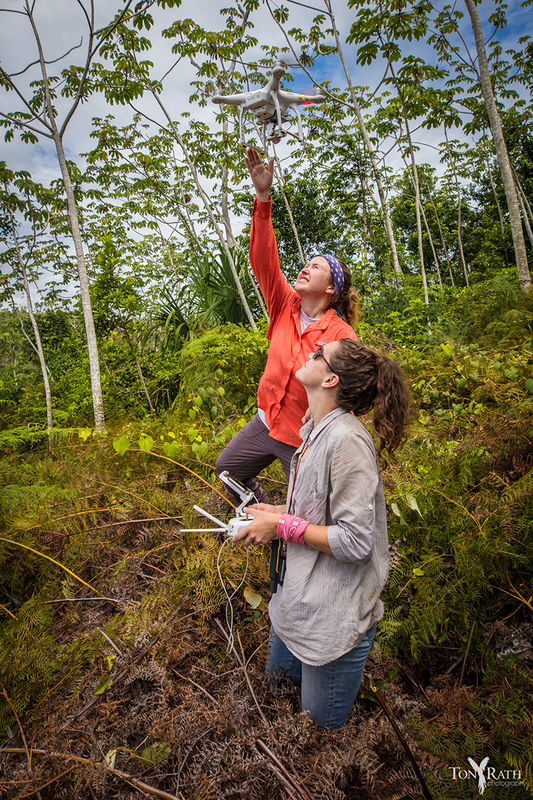 Anthropology professor Lisa Lucero is leading the work in Belize. A second post about this expedition, “Fire and Water,” will appear next week.